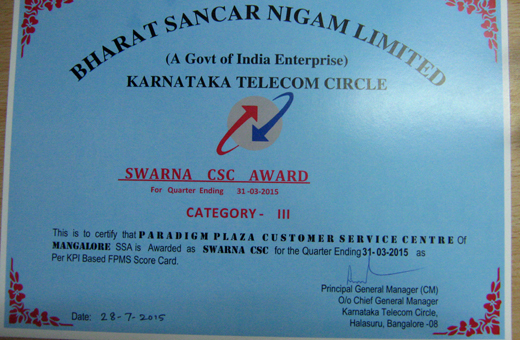 Mangaluru, July 31, 2015: Bharat Sanchar Nigam Limited (BSNL), Karnataka Telecom Circle awarded the Swarna CSC Award for Quarter ended 31.03.2015 (Catogory III) to Pradigm Plaza Customer Service Centre in Mangaluru. This Catogory III centre works for 12 hrs a day (8am -8pm) with a staff of twelve members. 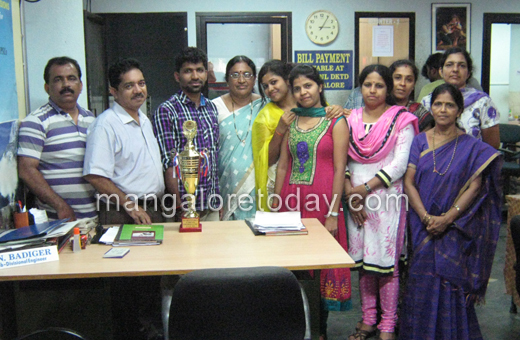 It has been a very patronized centre with a regular flow of customers for multi services. 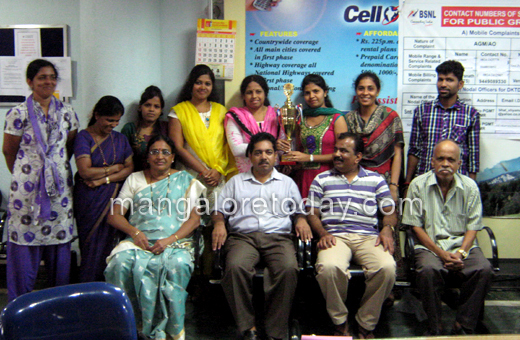 The award was received by Sub-Divn Engineer L N Badiger at Bangaluru on behalf of the centre at a special ceremony. 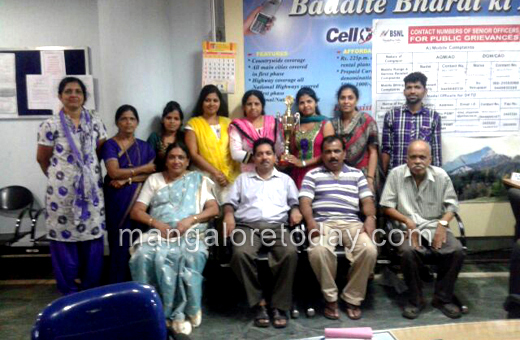 Congratulations to the entire BSNL team of Paradigm Plaza for your selfless service to the customers.